Friends of Newport Rugby Trust are delighted to announce that Alun Williams has agreed to become our Honorary Patron. Friends of Newport Rugby Trust are delighted to announce that Alun “Benny” Williams has agreed to become the Trusts’ Honorary Patron, a role vacated last year by Brian Price. FoNR would like to thank Brian for his valuable commitment and support to Newport RFC and FoNR during his time in the role and wish him all the best for the future. Alun was a popular member of the Black and Amber’s from 1984-1990. He made his debut against Glamorgan Wanderers in 1984 and played against the All Blacks in the match at Rodney Parade in 1989. Alun was an uncompromising prop that occasionally found himself on the wrong side of the officials, but has a proud Newport RFC career making 72 appearances and scoring 2 tries. Still very much involved in Rugby, Alan is on the coaching staff Cardiff Met University who have seen recent success in the British Universities and Colleges Sport (BUCS) Super Rugby competition. 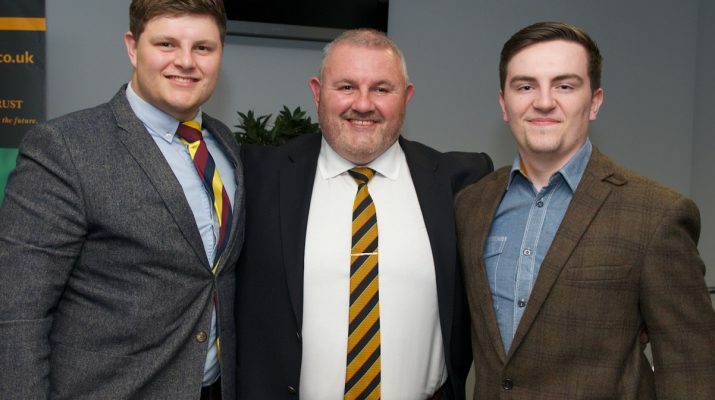 Closer to home, Alun is a keen supporter of Newport RFC and is regularly seen at Rodney Parade, sometimes cheering on his son Jack, who is following in his father’s footsteps and donning the famous Black & Amber jersey. Alun has also been the MC at a number of FoNR Hall of Fame Events and has treated the audiences to some fantastic and often hilarious anecdotes from his playing days. Welcome Alun, we look forward to working with you going forward.